In a medium saucepan, combine cider, brown sugar, lemon juice and ginger. Bring to a simmer over low heat, stirring until sugar dissolves. Strain, cover and refrigerate for a least 2 hours or up to 3 days. 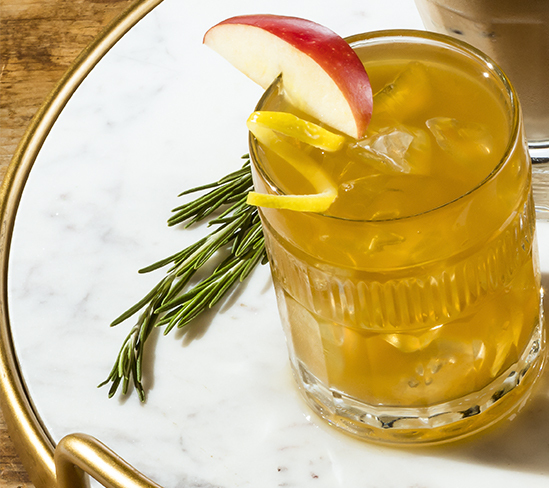 To serve, stir in whisky and pour into four ice-filled glasses. Garnish with lemon peel and apple slice.